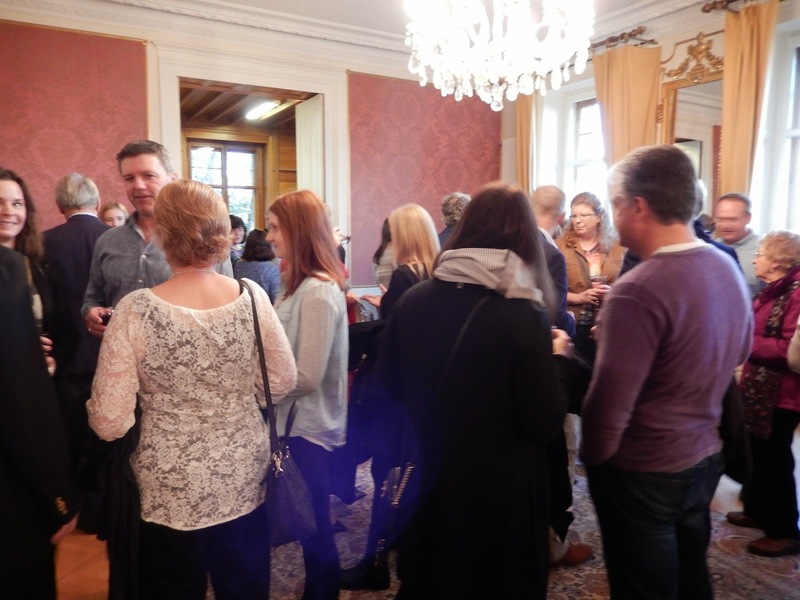 Hallowe'en at Neuchâtel coincided with Parents' Weekend. In preparation for this, the staff worked hard to finalize interim reports in order to indicate student progress. We may be living in the shadow of the Alps, but this is still a school and with it come instruction, assignments and evaluation - the usual routine. As the only English teacher, I was very popular with the parents - that is to say, many requested an interview with me on Friday. In fact, I was booked solid for over six hours. Also, I scheduled three more interviews on the day before, as well as three more during the week afterwards (on Skype) for those parents who could not attend. I was very busy, needless to say. 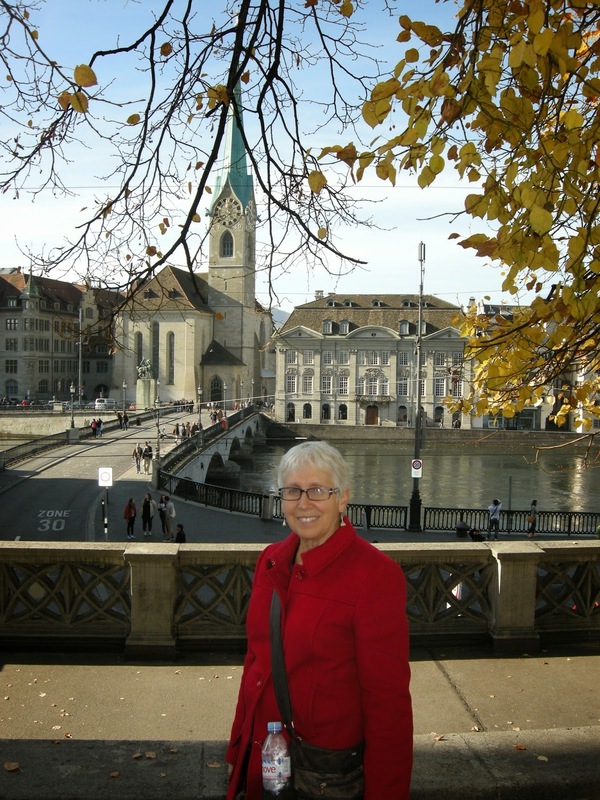 I was impressed by how many parents made the journey to Switzerland to meet the teachers and, more to the point, to reconnect with their sons and daughters. Outside of the interviews, the staff also spent time with parents in more relaxed settings. 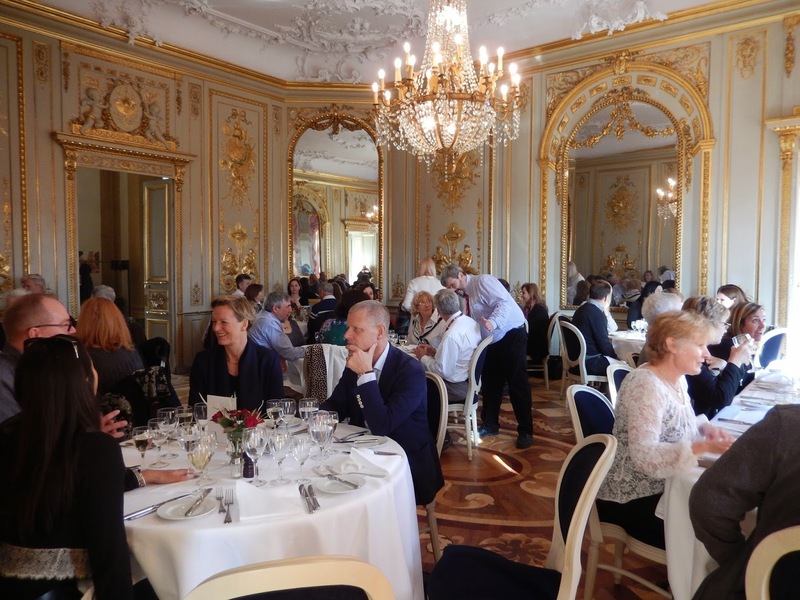 On Friday, we enjoyed a delicious lunch at the Hotel du Peyrou, and, later that day, there was a reception in the Foyer at school. On the Saturday, the school arranged excursions to nearby locations, Bern and Grandson Castle, but I did not take part in those. Instead, I had planned some time with my husband, who would be returning to Canada early Monday morning after three months in Europe. 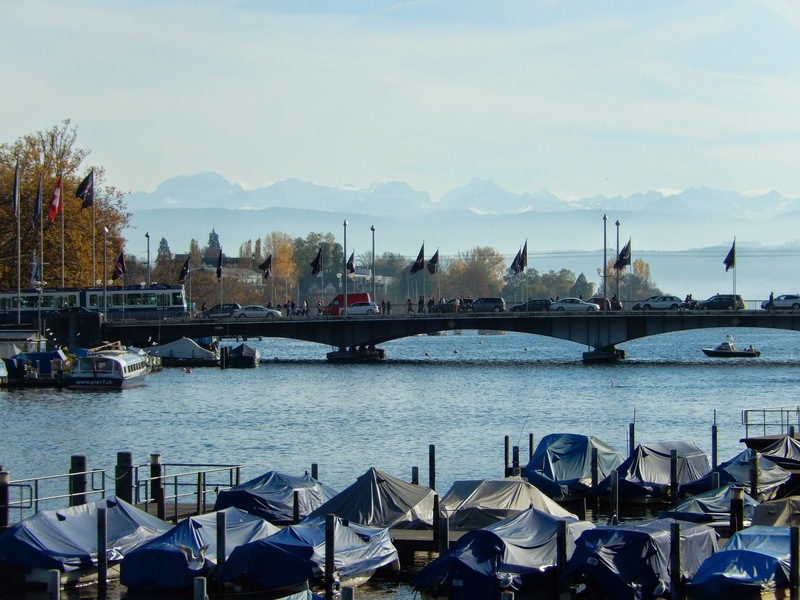 Fittingly, we chose to visit one more beautiful city before his departure: Zurich. St. Peter Kirche tower and the quiet square in front of it. It took a while for Bob to pack so we did not get away until around noon on the Saturday. 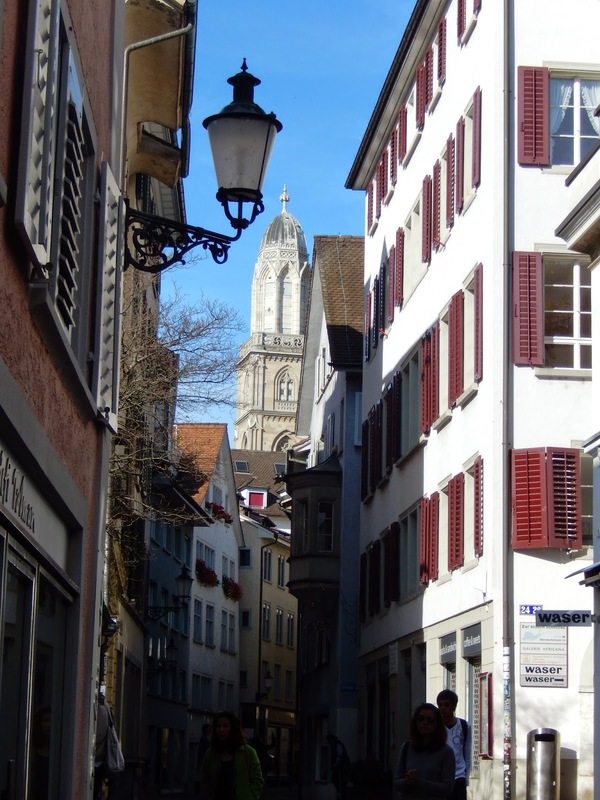 By the time we checked into our airport hotel and made our way back to the centre of Zurich, it was late afternoon. On that first evening, we wandered for only a few hours. 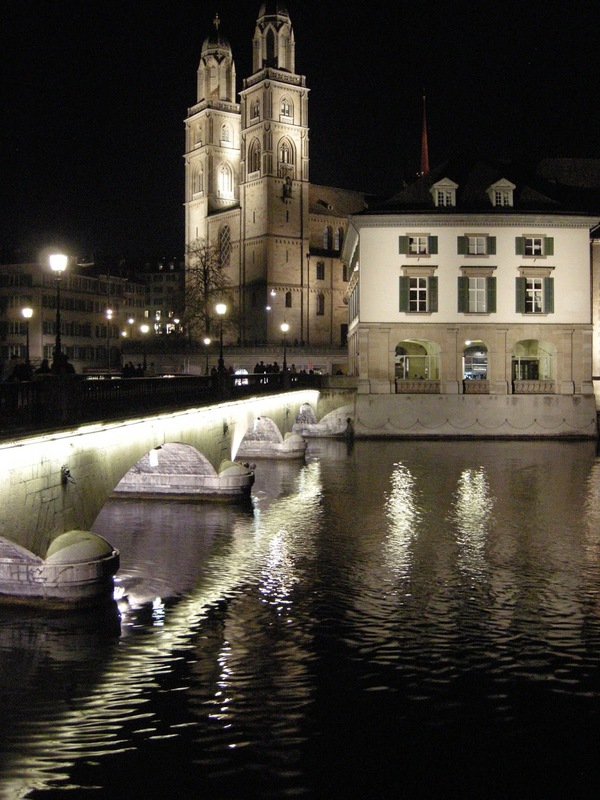 Zurich is lovely at night, and, although it is Switzerland's largest city, we found many corners of it quiet and peaceful. Sunday was also quite serene - at least during the first part of the day. European cities we have visited keep the Lord's day quiet, with shops closed and the only sounds, the ringing of church bells. 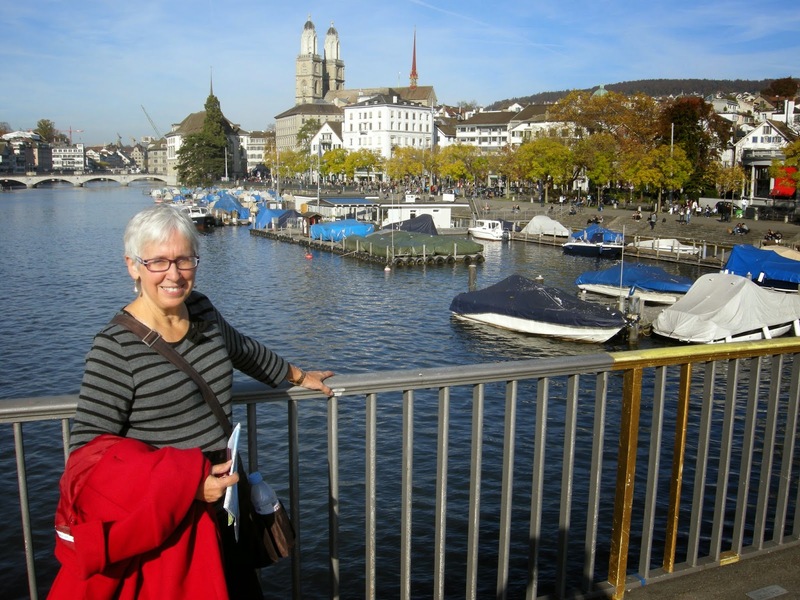 This was a particularly lovely morning weather-wise, too, so we took our time exploring the older parts of the city on the east side of the Limmat River. 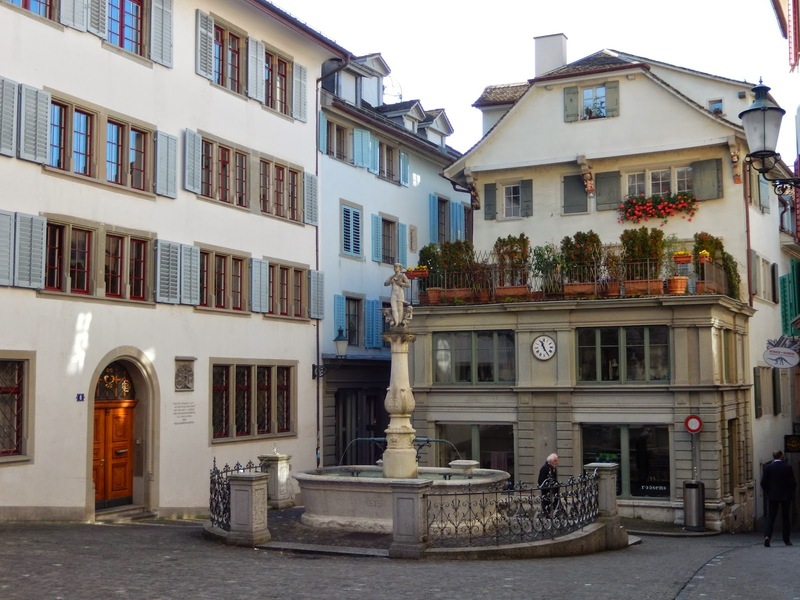 We really enjoyed Zurich's many small squares, and numerous fountains. There were several plaques on the walls of homes indicating who had lived there at one time. 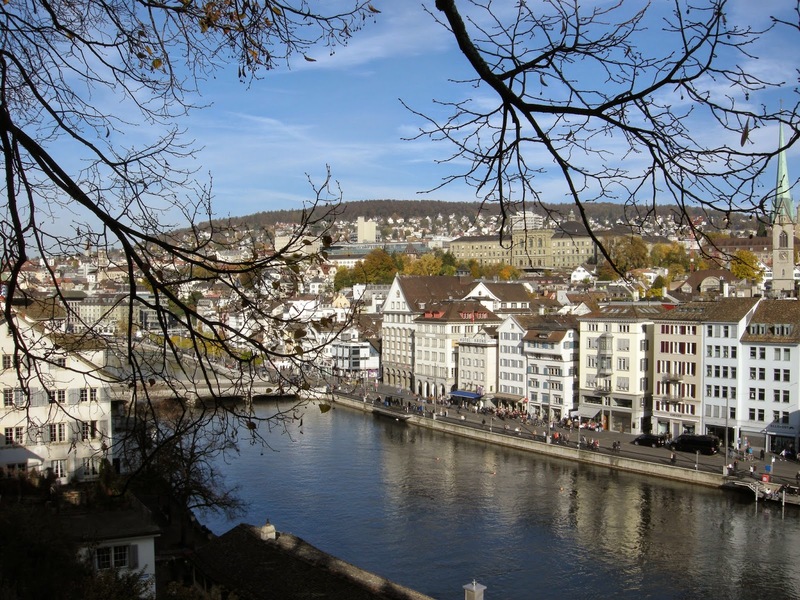 We discovered, for instance, that Vladimir Lenin had taken residence in Zurich at one time. As the morning turned into the afternoon, the weather warmed up so much that I opted to remove my coat and carry it rather than wear it. The sun brought out lots of people too, especially along the waterfront of Lake Zurich. It was hard to believe that it was November. The views across the lake and over the river are very beautiful, as you can see for yourselves in these photos. Looking south towards Lake Zurich and the Alps in the distance. 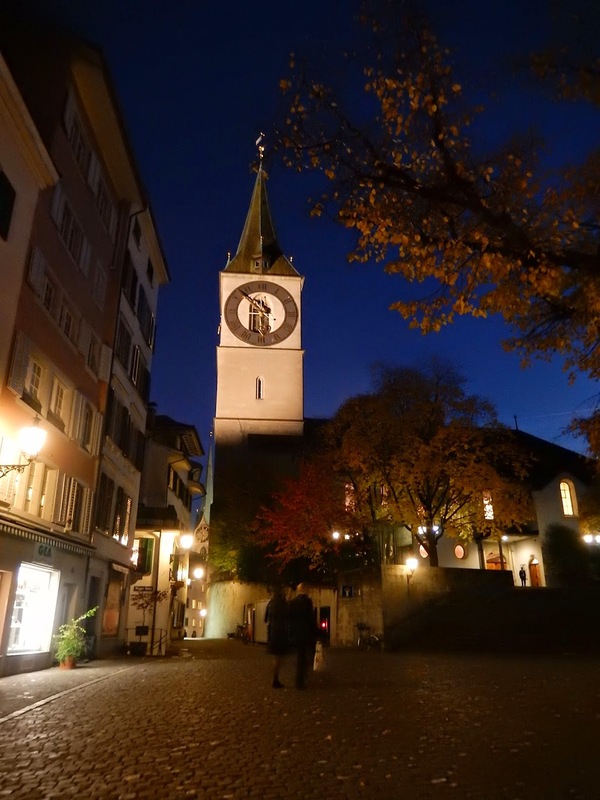 Finally, we climbed up to Lindenhof, an elevated portion of the old town that offers a spectacular view over the city. This was an ideal way to see Zurich for the last time before we made our way back to our hotel. It was time for us to go our separate ways. For the first time since I arrived in Europe, I boarded the train by myself to return to Neuchâtel. I will miss Bob's company and you, blog followers, will miss his talent with a camera. You will also see fewer pictures of me, unless I learn to master the selfie, a skill I have yet to acquire.